Today you can hardly walk out of your front door without seeing at least two people who have a Phone. Skype is one of the most popular apps for video and audio calling on phones. However there are some better alternatives for video calling. Many people want to switch to these skype alternatives for high quality of video on slow internet. They simply want to deactivate Skype account and install other apps. However it’s not that easy to delete Skype account. Skype is an application that allows you to make video calls to and from users from all over the world. It was released in 2003 and currently has over 30 million users. Skype enables users to voice or video call other Skype users or even landlines or cell phones. Skype has become popular for personal interactions as well as an increasing amount of business transactions. The Skype App (application) is pretty standard and is available on most smart phones, Computers with little variation from OS to OS. This makes deleting your Skype account relatively easy. Skype is most popularly used on Android, iPhone and all version of Windows OS such Windows 8, Windows 10, Windows 7 and previous versions. Below Method of Deleting Skype Account is Applicable for Android, iOS and Windows. Contact Skype For Account Removal– The Skype Application will not let you delete your account yourself. This is for any number of security reasons as well as the safety of other Skype users (See Skype terms of service for details). If you are choosing to delete or deactivate your Skype account for any reason you will need to contact Skype directly and inform them of your decision. Before you choose to delete your account make sure you have used up any credits, call time, or subscriptions that you have remaining as these can not be recovered should you choose to start a new Skype account in the future. Only Skype Customer Support can delete your Skype account completely. To have your account deleted call Skype customer service. They will ask you a few question as well as collect any information they will need in order to successfully delete your account. After you have provided Skype customer service with any information you need, a conformation e-mail will be sent to you to let you know that your account has been deleted and is no longer active. You simply can’t delete Skype account by logging in. Use Text Chat on Skype Support Website. It can take up to 2 weeks to completely delete your Skype account. Till then you can use the below method to change your profile information of Skype so that it can not be traced back to you. You can’t change your Skype name but you can change rest of the personal details. On Linux, click your Skype Name and select Edit Profile. 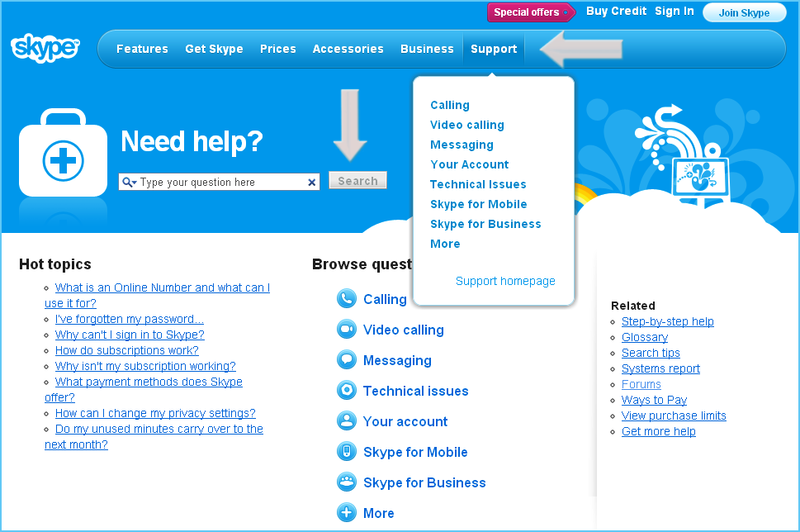 Below is the general method of how you should find and change your personal details on Skype. You can follow the methods for Android and iPhone as well. 1. Sign In– The first step in changing your profile information is to sign into your Skype account. To do this you will need your Skype user-name and password. 2. Go To Your Profile– After you have logged into your Skype account you will need to go to your Skype profile. 3. Edit Your Profile Details– After you have clicked on your profile you will have to scroll to the bottom of the page and click “EDIT” under you “SETTINGS AND PREFERENCES”. Click edit where it shows the “PERSONAL INFORMATION” option and you are now ready to Edit any of your personal information on Skype. Leave a message if you are changing the account. Hopefully it will help you delete your skype account on iPhone, iPad or Mac. If you are struggling to use Skype then you can use our guide to “How to use skype on iPhone.” You can use our conference call guide to make group calls on Skype for iPhone application. You can download Skype for all iPhone versions. This entry was posted in Skype Tips and Tricks and tagged How to Change Personal Info on Skype, How to Deactivate Skype Account Permanently, How to Delete Skype Account from Computer, How to Delete Skype Account Name, How to Delete Skype Account on Android, How to Delete Skype Account on iPad, How to Delete Skype Account on Macbook, How to Delete Skype Account on Mobile, How to Delete Skype Account on Windows, How to Delete Skype Account Permanently 2015, How to Delete Skype Account Permanently 2016, How to Delete Skype Account Permanently Immediately, How to Disable Skype Account Permanently, How to Edit Profile Information on Skype on March 16, 2016 by satyenhacks.